Seasonal allergies are usually present during changes in season. Symptoms can be sudden and are often itchy eyes, and nasal congestion. Sometimes called “hay fever.” Normally, people breathe in these substances without a problem. However, when a person has a weakened immune system or extra sensitive, an allergy may result. Many people first get seasonal allergies when they are children or young adults. The allergies maybe lifelong, but symptoms can get better or worse over time. Seasonal allergies are often triggered by a change in weather, reaction to tree, grass or ragweed, pollens and mold which is very common in the Pacific Northwest and Seattle. Seasonal allergies have a wide range of symptoms but most commonly: dry itchy eyes, nasal congestion, runny nose, cough, low energy, and headaches. 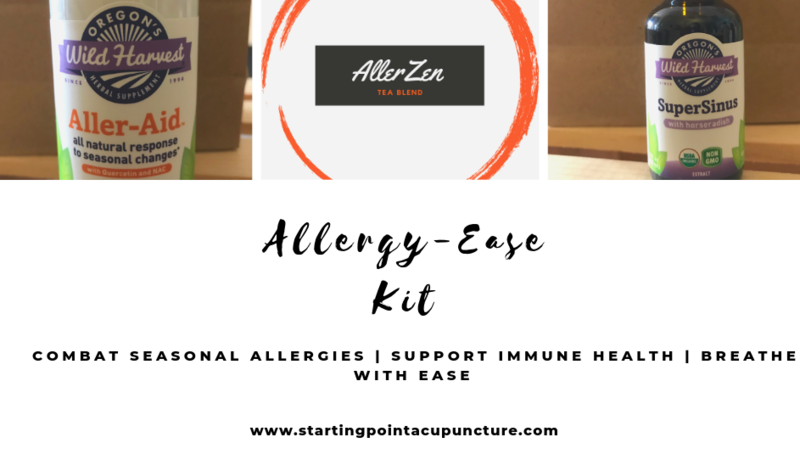 Acupuncture and natural medicine can look to find the cause of certain seasonal allergies and work to prevent seasonal attacks. Symptoms such as itchy eyes, runny nose, cough, low energy, and headaches have been shown to be reduced following acupuncture treatments. Read our previous post on how we can help combat allergies here. Use of certain supplements, essential oils, and dietary interventions have also been shown to be effective in treatment of seasonal allergies. To make an appointment and stay clear of seasonal allergies, give our Bothell office a call today at (425) 686-4498!